Fireworks used in Boston Bombings? No way, no how! There is already silly talk of president Obama using executive order to force a nation wide ban on fireworks. Come on people, this is not only possible it may be the biggest knee jerk reaction ever! While the suspects may (or may not) have purchased fireworks, the amount claimed would not have near the power needed to produce the results we saw in Boston. In Fact, there are many, many readily available common household items that are far more energetic than what the U.S. Consumer Product Safety Commission allows in Firework s.
Posted in Uncategorized	| Comments Off on Fireworks used in Boston Bombings? Congratulations to Virtual Egg Hunt winners! Congratulations to J Hughes of VA for being a winner in our Virtual Easter Egg Hunt! His prizes are on their way to him as you read this. Moving further into springtime, Memorial Day is right around the corner and typically kicks off the busiest couple of months to buy fireworks online. Most of the items have arrived from China and smart shoppers will buy before the rush to make sure they get their favorite items before they sell out. Over 1,000 different firework devices are legal for sale in the USA including firecrackers, reloadable mortars, spinners, multi shots, rockets, ground items and sparklers…what’s your favorite? 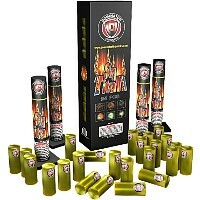 We love seeing pictures of peoples firework stashes as they stock up for the summer, now is the time to get started! Posted in Uncategorized	| Comments Off on Congratulations to Virtual Egg Hunt winners!